There’s something really beautiful and pure about a bond of a father and his son. Seeing them do things together is a truly special moment and these life moments are something they’ll cherish forever. That’s why seeing Andrea Bocelli and Matteo Bocelli dueting is a beautiful sight (and sound) to behold. 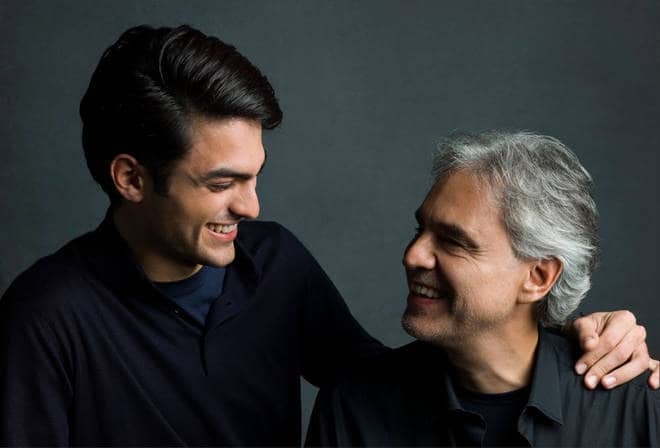 This duet is the first time Andrea Bocelli has sang with his son. The father and son duo belted out the song “Fall On Me” and the video is utterly beautiful. 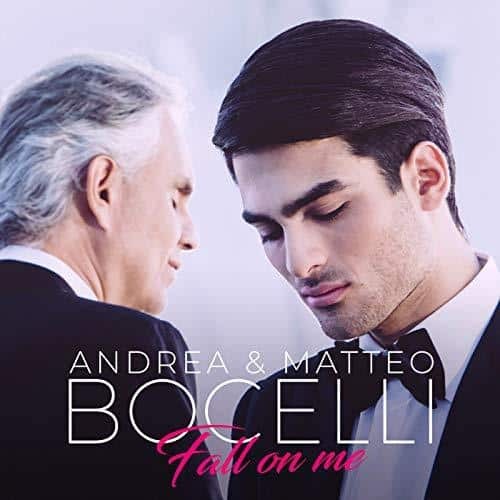 ‘Fall On Me’ is the first time I have duetted with my son Matteo Bocelli. Andrea is known for having one of the most beautiful voices in the world, but we had no idea his son Matteo also had a great voice. Anyone who is a parent, anyone who knows the precious responsibility of being a mother or a father, will fully grasp the meaning of this piece. In the video, we see Matteo take the reigns and sing the song to his father. It will give you goosebumps when you hear the song and the video is so touching. As they beautifully harmonize, photos from Matteo’s childhood flash across the screen at times, showing the close bond he shares with his famous father. The two sit side-by-side with their backs to each other as they both play on two grand pianos. This emotional song truly hit me hard and I’m sure there are a lot of others that feel the same way. The music video is so simplistic but truly beautiful. The simplicity makes the message hit harder. You can tell how much this father and son love each other.